If you're running Snow Leopard, it's time to upgrade. If you're reading this on a Mac, there's a one-in-five chance you're not getting security patches anymore. Apple (AAPL) has stopped issuing updates for Mac OS X 10.6, known as Snow Leopard. That means the company won't be sending out software fixes to protect you from hackers and computer viruses. 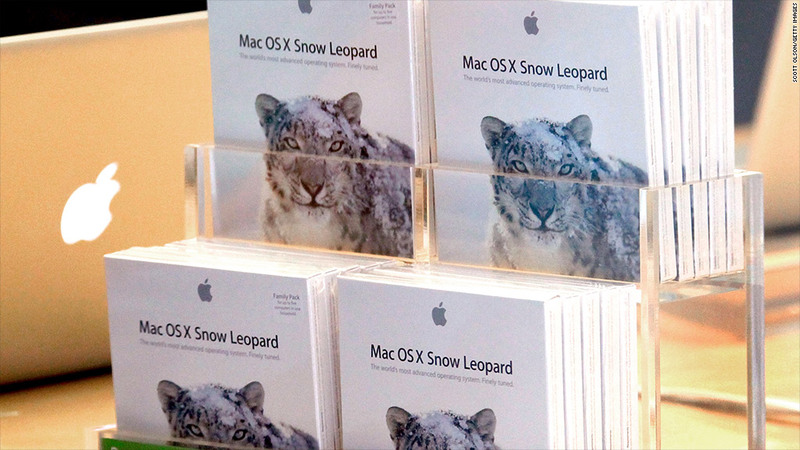 The Snow Leopard operating system, released in 2009 remains popular. Snow Leopard is still running on 19% of Macintosh computers, according to data tracker Net Applications. Apple has since released three new iterations of its Mac operating system, including Lion, Mountain Lion and Mavericks. The good news for Snow Leopard users is that upgrading to the latest operating system is relatively easy -- and free. Most Snow Leopard users can download Mac OS X Mavericks from the Mac App Store, so long as they have the latest Snow Leopard update installed and their Mac was purchased in 2007 or later. Mavericks won't work with MacBooks and iMacs sold before 2007. Snow Leopard users don't have to upgrade -- Macs running Mac OS X 10.6 will keep working without upgrading to Mavericks. But without the occasional software patches from Apple, bugs and security flaws will go unaddressed, making computers running Snow Leopard a potential target for hackers. Macs are increasingly targeted by cyberattackers. The recently discovered security hole in Apple devices -- which allowed outsiders access to emails, instant messages and online bank transactions -- shows how significant updates can be. That bug was fixed earlier this week. Like Snow Leopard, Microsoft (MSFT) has announced that it will discontinue security updates for Windows XP on April 8. That will pose a potentially much more serious security problem. An amazing 29% of computers across the globe are still running Windows XP, according to NetMarketShare. Comparatively, just over 1% of the world's PCs are running Snow Leopard.